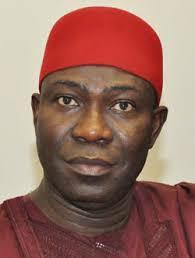 The Deputy President of the Senate, Senator Ike Ekweremadu, has, once again, stressed the need for decentralized policing and economy if the country must wriggle out of its numerous security and economic challenges. He also stressed the need for respect for the rule of law and ensure inclusive governance. He made the assertions at the South East Economic and Security Summit held at the Government House, Enugu, on Thursday. The Deputy President of the Senate said: “On the issue of security, I believe that whatever we say, unless we restructure our security architecture, we will continue to have problems and the simple suggestion is that this is time for us to think along the path of a decentralised policing. “Today, we have challenges of kidnapping; we have challenges of insurgency; we have challenges of menace by suspected herdsmen; we also have militancy; and all these have never been resolved by about 340,000 police officers policing about 170 million people. It does not happen anywhere in the world”. Ekweremadu maintained that every part of Nigeria should be allowed to have the type of policing system that suits their needs if the nation truly wants to secure its borders and every part thereof. The Senator also faulted the country’s economic structure, insisting that “there is no way you can run the type of economy we are running in a federal system and expect to make progress”. He added: “The answer to it is restructuring so that every part of Nigeria will develop in accordance with its potentials, be it economic, intellectual, agricultural, or other potentials and then be able to contribute to the commonwealth. “As long as we have a unified system of economy, it is not going to work. We must find a way of ensuring that we use our natural endowments essentially for the development of the respective parts of Nigeria in the interest of the country”. The Deputy President of the Senate also harped on the need for rule of law as, according to him, it remains a major factor for foreign investors and protection of protecting the rights of citizens and corporate entities. “We must give everybody his due; the constitution is clear in Chapter 4 on the numerous fundamental rights that are the entitlements of every part and every person in Nigeria and one of them is the issue of liberty”, he said. Ekweremadu stressed that “liberty is something that God gave to us because it is an inalienable right and for you to take away somebody’s liberty, it must be in a very extreme circumstance, and in accordance with the law. “So, if the court says someone should be released from detention, government must do everything possible to respect that and everybody who is accused of an offence must as a matter of necessity, and in good time, have his day in court; and this reminds me of the continued detention of Nnamdi Kanu. Whatever his offence, he must have his day in court and if the court says he be released, he should accordingly be released”. Ekweremadu further expressed serious concerns over the exclusion of parts of the country in certain key areas of governance and security architecture of the country. He observed: “In a country such as Nigeria where we have different ethnic groups; where people speak different languages and have different religions, it is important that every part of Nigeria should be included in the governance of this country. “Today, as I speak, there is no Igbo man in the commanding heights of our security sector and so they do not attend Security Council meetings. In the top echelon of the governance of this country, the Igbos are absent”. He, however, said he was “not going to make any request because the President is not here and he is not represented, but I will just speak my mind on matters like these and these are things we need to think about because any part of Nigeria or the world that feels unjustly treated will never be interested in peace”. He added it was high time “to rethink on how we address the marginalisation and non inclusiveness of the Igbos in the governance of this country”.